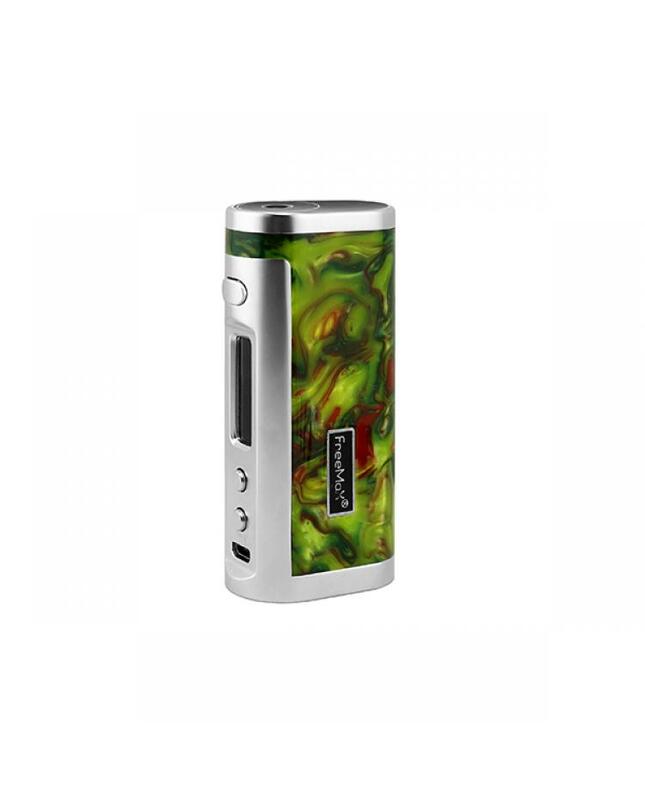 Newest freemax resin TC box mod conqueror, made of high-quality resin and stainless steel material, five fashionable colors available, powered by 1pc 18650 battery and max output 80watts, supports resistance as low as 0.05ohm, under temp control mode,it supports NI200,TI and stainless steel vape wires,the new freemax resin mod built-in large OLED screen,vapers will get the vaping data clearly,the ergonomic design fire button,"-" and "+" buttons, better hand feeling, use them to power on and adjust the vaping setting easily. the conqueror with multiple functions to keep the vape safe and reliable, it protects your vape mod from low voltage, short circuit, over-heat functions, after a long time not use, the mod will auto power down. recommend it works with TFV8 x-baby tank, fireluke tank etc.if you want to order the kit, please check the conqueror 80w vape kit here.